One of the sweetest Phalaenopsis species in our collection is this beauty: Phalaenopsis celebensis from the Celebes Islands (Sulawesi). 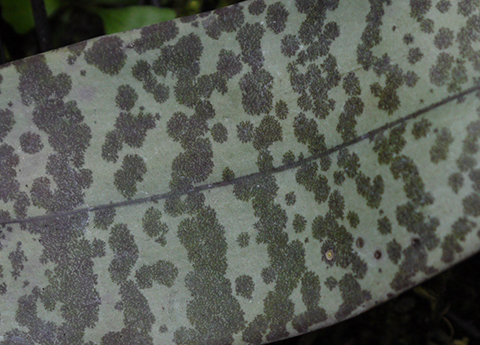 Modest in size without actually being a miniature, Phalaenopsis celebensis has lovely silver mottled leaves that are pendant--droopy, actually, like hound ears. 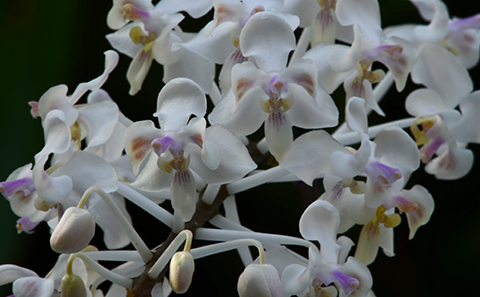 The pristine white flowers, carried on a very long arching spike, are about one tenth the size of a hybrid Phal, but Phalaenopsis celebensis scores major points in my book for its charm. 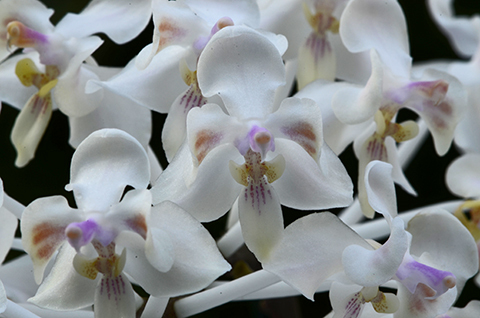 It may be my favorite Phalaenopsis species. Sarah pollinated our two plants yesterday, so we should be filling the nursery with seedlings before long.